The average American office is staffed with an army of workers who can be seen filing in every morning with coffee cups in hand. Those same workers head to the break room for a refill at midmorning, and then again in the middle of the afternoon. Some of them will never let their cups get empty. But why? Why is it that coffee continues to stand as the hot beverage of choice for office workers? 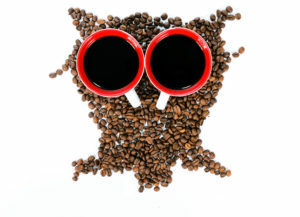 It is no secret that caffeine is one of the most used stimulants in the world. It is a largely harmless substance that can keep workers going throughout the day without interrupting their workflow. Just enjoy a cup of coffee every couple of hours and you are good to go. The caffeine in coffee also helps office workers remain alert in an environment that can easily lead to monotony and boredom. Those of you who stare at computer screens all day know exactly what we are talking about. Every now and again you just need a jolt of caffeine to refocus your eyes and mind. The office environment is one that can feel isolating despite the fact that there might be dozens of workers in the same space throughout the day. Anyone who works in a cubicle knows what this is like. Coffee acts as an escape by providing a good reason to get out of the cubicle and interact with coworkers. Coffee is a social beverage that encourages people to spend time with one another. Even if it’s just 15 or 20 minutes in the morning or afternoon, gathering around the coffee machine with your coworkers can really make a difference in how the day goes. For that alone, companies owe a lot to their coffee machines and break rooms. A 2010 MIT study showed that the concept of the coffee break improves productivity among office workers. Even without the study, office managers have been aware for years that providing free coffee to workers is a small thing that goes a long way toward boosting performance. That is why they do it. And because employers are offering the coffee for free, workers are more than happy to drink it. Coffee continues to be the favorite hot beverage among America’s offers workers. Here at Galaxie Coffee, we are thrilled to be able to provide industry-leading coffee service in the greater New York area. We know how much office workers depend on coffee throughout the workday, and we strive to offer only the best products combined with great prices and excellent service. Do not hesitate to contact us to learn more about our products and services. Would you like to keep up on the latest trends in coffee? Here is what one of our colleagues at Espresso Works has been up to. Here are some of the most popular coffees, and baristas, on Instagram. Please enjoy the following infogram as you sip your cup of Joe.